Indigenous Heritage. The following has been written in collaboration with Ann Preest, Chairperson of the North West Cape Exmouth Aboriginal Corporation (NWCEAC), and Oceanwise Expeditions. Kings Ningaloo Reef Tours Exmouth would like to show our respect and acknowledge the family of the late Sydney Dale, the Traditional Custodians of the Yinigudura land on which our tours take place. This tribe occupies the Northern tip of the Cape from Tent Island in the gulf across to Bulbari Point south of Coral Bay in the west. We pay our respects to Elders past and present. 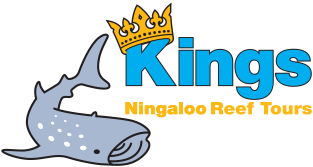 The name Ningaloo means “deepwater” for the local Yinigudura tribe. This region contains significant aboriginal sites such as burial grounds, middens and fish traps, and provides some of the earliest records of marine resource use in Australia. There is evidence showing continuous occupation on this land for the past 35,000 years. Evidence in the form of old camp fires are found in the layers of earth on the floor of limestone caves in the range. One of the most significant archaeological discoveries was the oldest beaded necklace in the world, dated as 32,000 years old, in the Mandu Mandu Creek Rock-Shelter near Exmouth. It was Sydney Dale that showed the researchers a location to work at and the results were incredible for all the people involved. This evidence demonstrates a sophisticated and specialised use of the coast and its resources. The Dale family continues to hold custodianship of the land for the original families and tribe of their late father. The area for Sydney Dale was West Thalanyji. For the Crowe and Dodd families plus others it was Inggarda of the Kennedy Ranges and Carnarvon, with the Baiyungu Language Group being centred in and around Minilya area. The Baiyungu tribe were still living on and around Minilya in 1907. It was at this time they asked Julius Brockman to take them away to his station at Carnarvon as too many of their young strong men were dying. The Baiyungu Matriarch is a respected member of the NWCEAC and a respected source of information. She is the niece of the late Sydney Dale. The late Sydney Dale was one of the old people that established the The Gnulli Aboriginal Native Title Claim, which recognises the traditional ownership of the country. There were originally five language groups as part of this claim but now only three remain. They are the Yinigudura also known as: West Thalanyji*Jinigudira*Yinikutura and at times may be spelt differently depending on the people researching. The claim documents that the West Thalanyji people continue to hunt, fish, gather, camp and perform ceremonies, visit sites of spiritual importance, and pass on knowledge about the land and their traditions. The ocean, the estuaries, rivers, creeks and springs, and tidal areas are immeasurably important parts of West Thalanyji spiritual life. Respect for the land, water and their culture is implicit. The NWCEAC has been left the responsibility as the Legatees to put in place the Legacy of the Late Sydney Dale. Today local indigenous rangers work toward the protection and conservation of their country. CLICK HERE to see how below.